Starter home? Yes! Downsizing? Yes! Pied-a-terre? Yes! This charming 1bed/1bath Mission Canyon cottage offers endless possibilities. Enjoy panoramic ocean, island, and city views from every corner of this property! The south-facing orientation makes this a warm, bright, and sunny home all day long with incredible sunrise and sunsets. The automatic entry gate and stone driveway are comparable to that of a prestigious Montecito estate. As you enter the home you are welcomed by refinished oak hardwood floors and vaulted ceilings. The kitchen offers a gas stove, oven, and stainless steel fridge. The bedroom enjoys french doors out to the deck. The bathroom has a stand-alone tub/shower, boutique sink, and tile floors. Brand new A/C and furnace. Directions:Mission Canyon, left on Foothill, right on Cheltenham, right on Exeter. SchoolsClick map icons below to view information for schools near 2835 Exeter Pl Santa Barbara, CA 93105. Home for sale at 2835 Exeter Pl Santa Barbara, CA 93105. 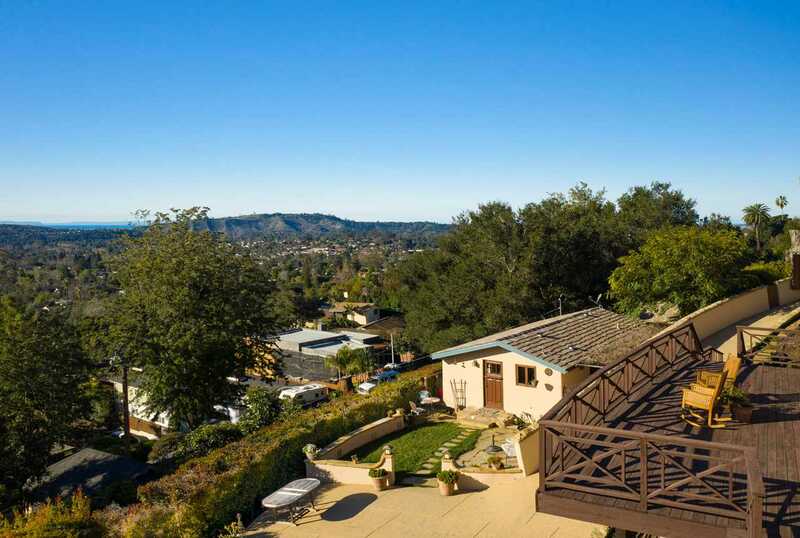 Description: The home at 2835 Exeter Pl Santa Barbara, CA 93105 with the MLS Number 19-432 is currently listed at $995,000 and has been on the Santa Barbara market for 73 days. You are viewing the MLS property details of the home for sale at 2835 Exeter Pl Santa Barbara, CA 93105, which includes 1 bedrooms, 1 bathrooms and has approximately 596 sq.ft. of living area.